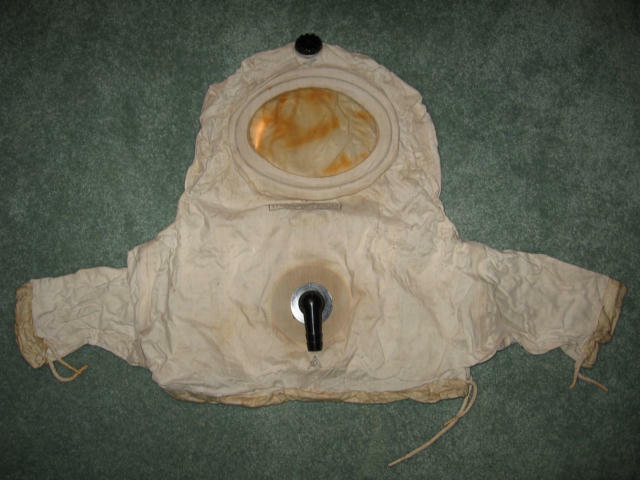 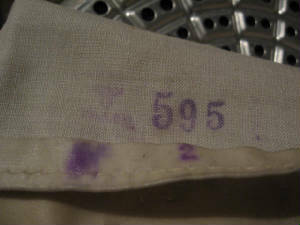 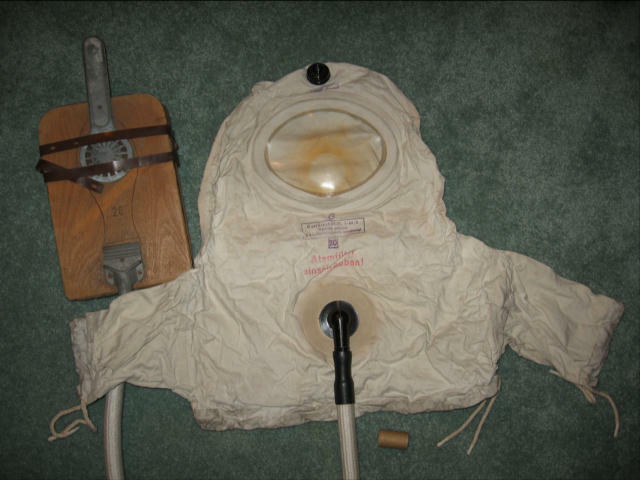 The front of this gas jacket has many red and black ink stamps on it . 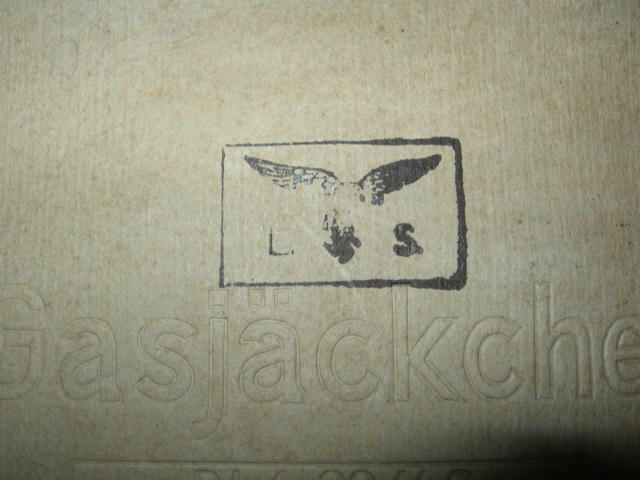 LOTS OF INK STAMPS ON THIS ONE ! 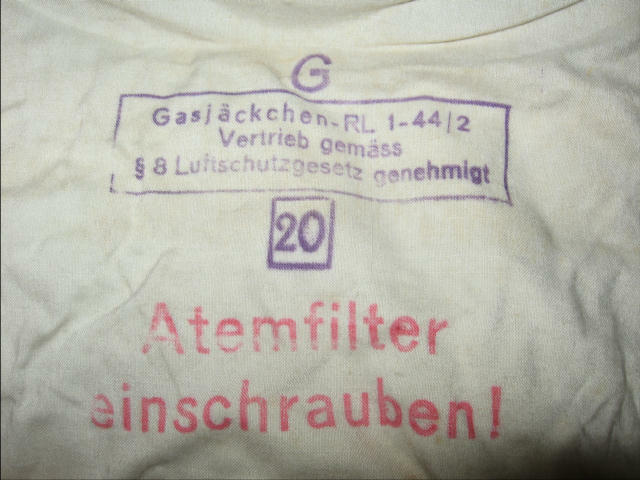 Ink stamp RL1-44/2 for Auer gesellschaft AG 1944 with luftschutz distribution stamp. 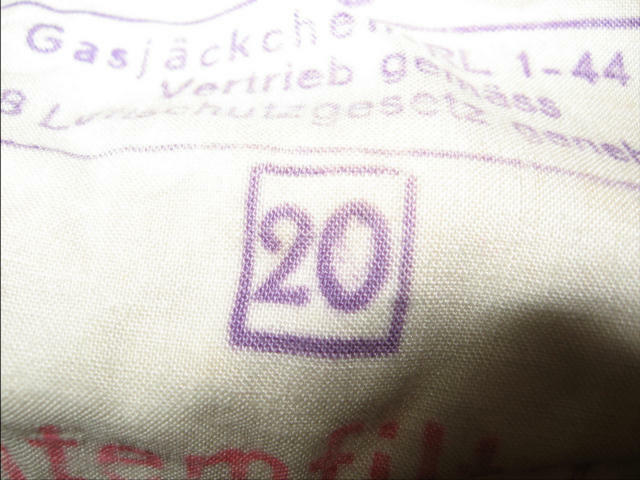 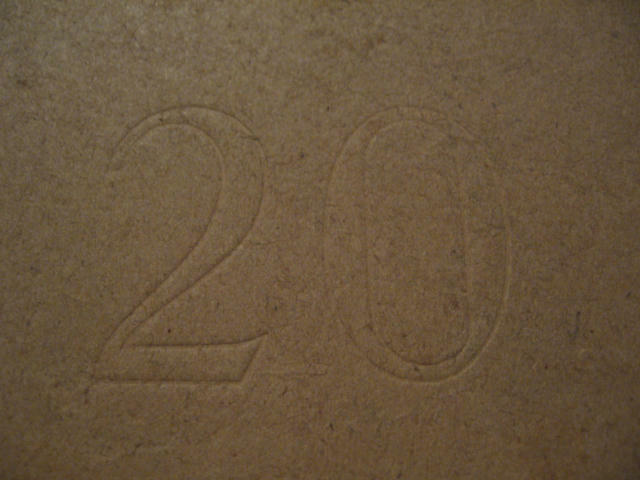 Number 20 ?? 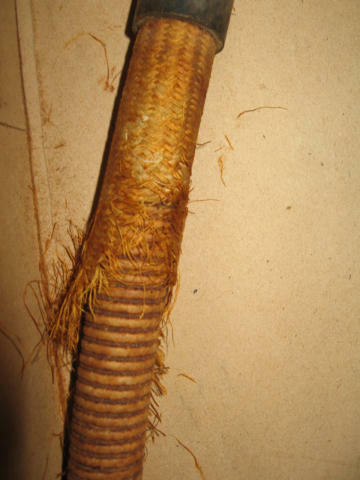 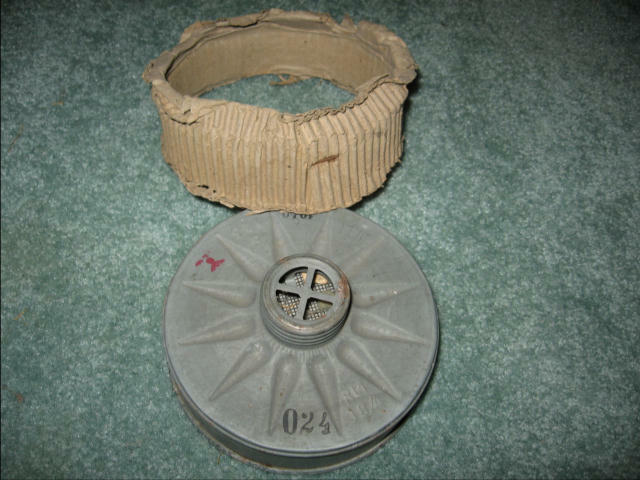 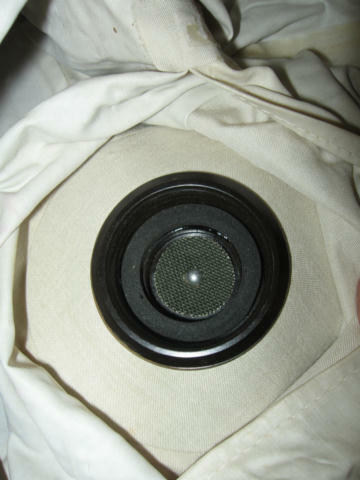 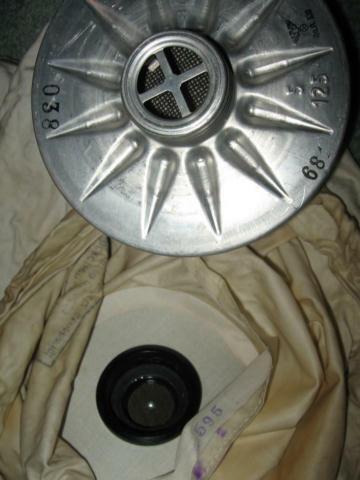 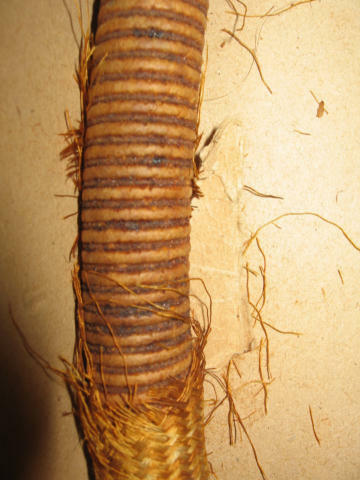 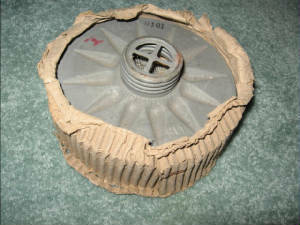 In this view one can see the threaded screw connection for the VM air filter canister . 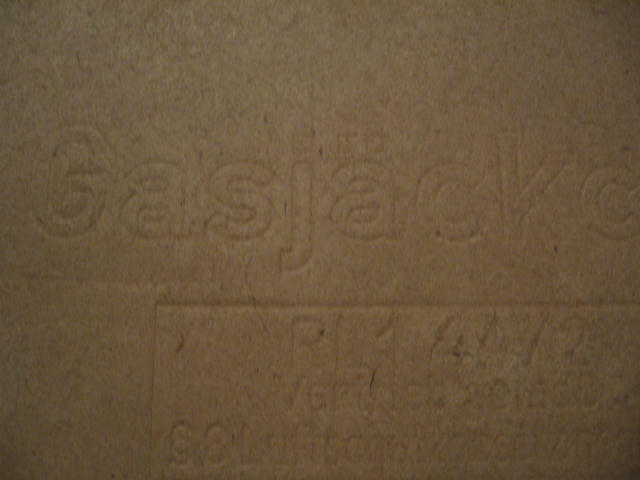 ORIGINAL GASJÄCKCHEN STILL IN THE BOX ! 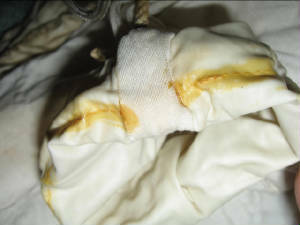 End of the sleeve wrist is made into a tunnel for a tie cord to seal the jacket to the wrist . 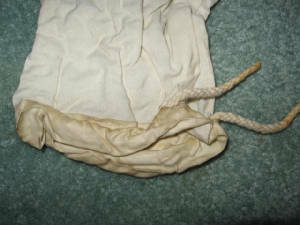 ALL SEAMS MUST BE SEALED TO KEEP GAS OUT ! 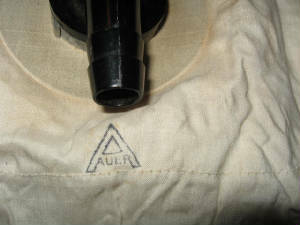 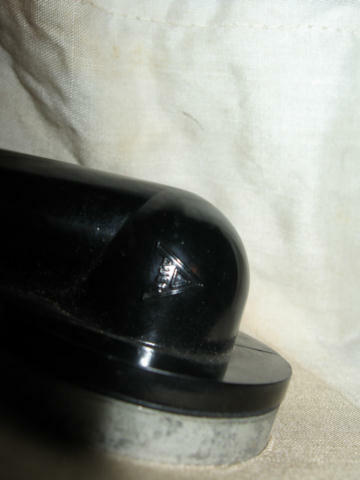 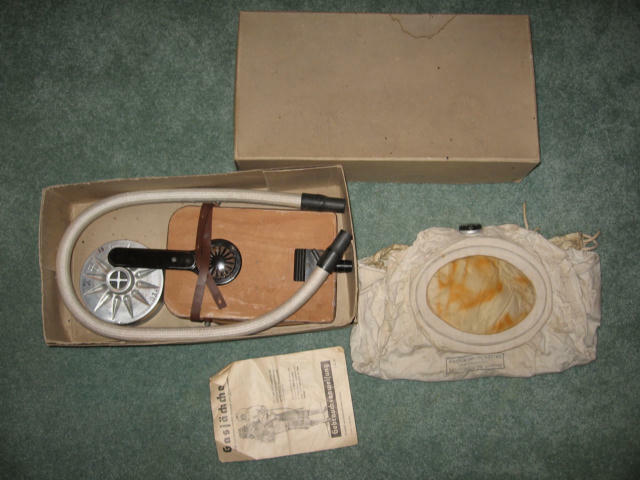 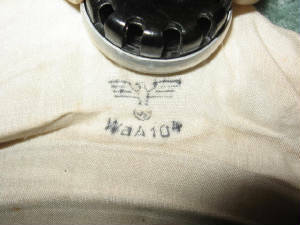 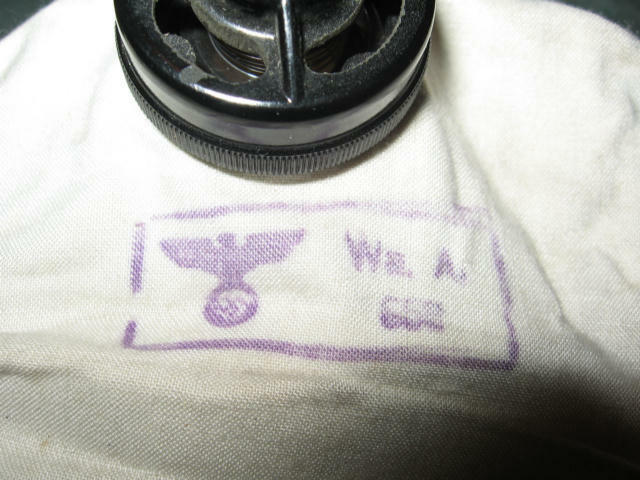 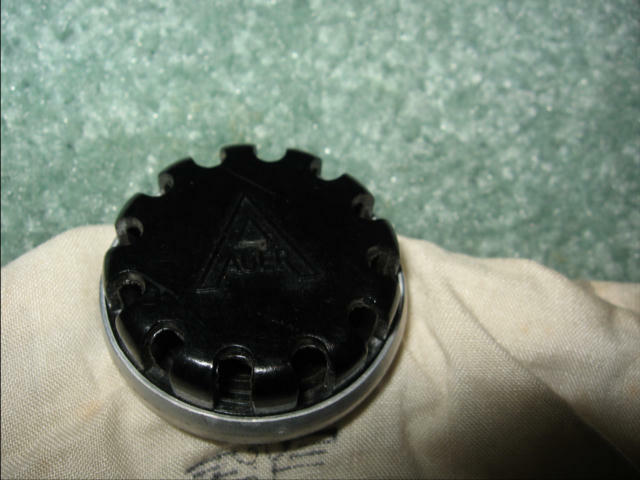 Air hose barb fitting found on the front chest of jacket with AUER logo moulded in the plastic . 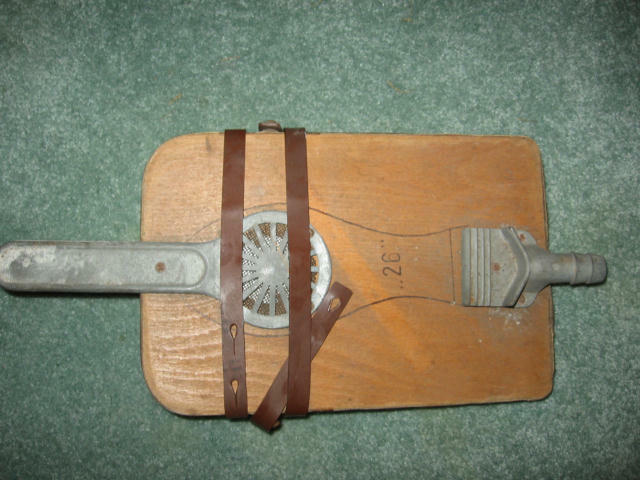 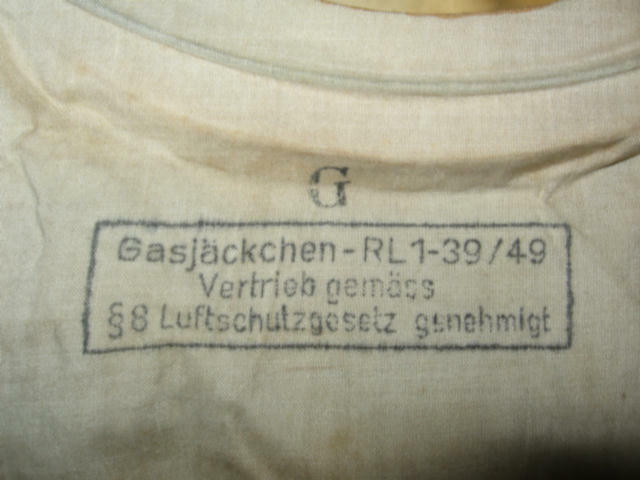 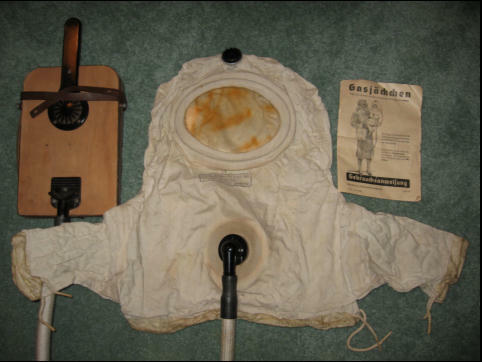 A Gasjäckchen hooked up and ready to wear ! 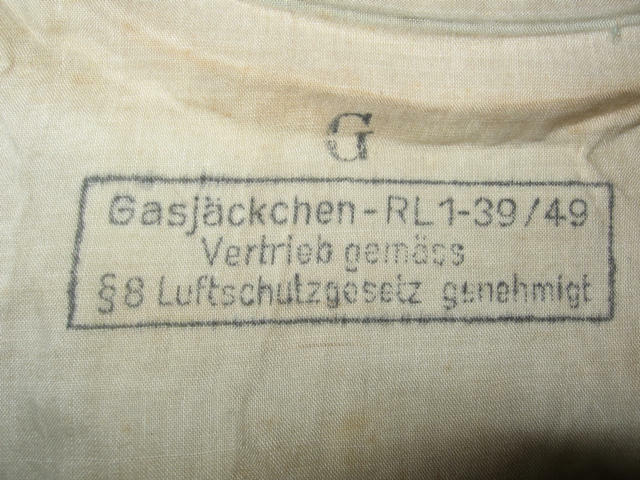 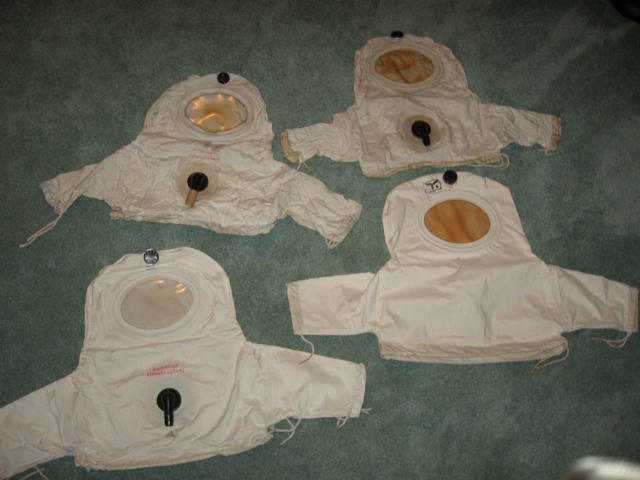 A family of 4 gasjäckchen ready to wear ! 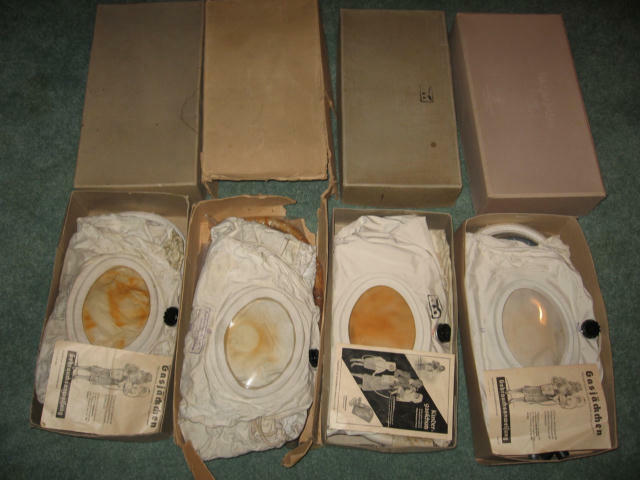 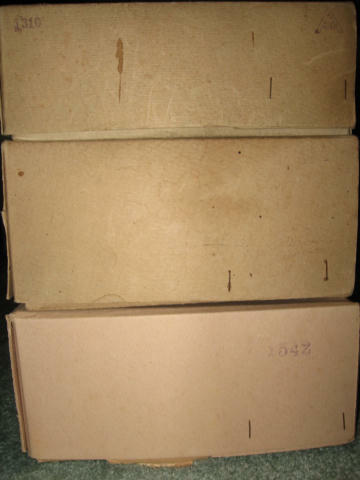 A FAMILY OF 4 STILL IN THEIR ORIGINAL BOXES !